Pictured here is the author's paternal grandmother, Pacita Dulay Sipin, in the late 1970s. 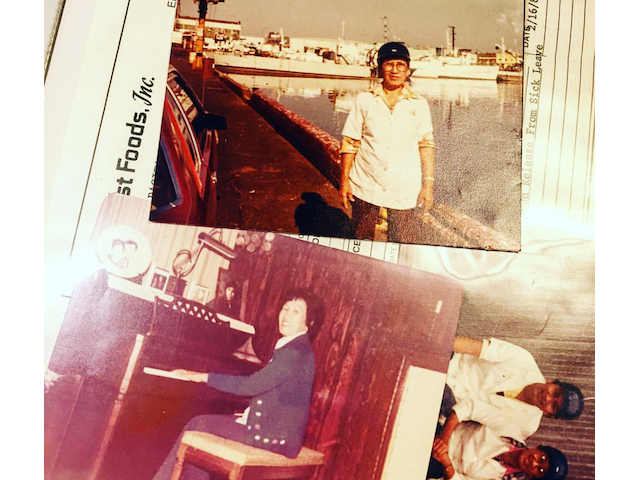 In the top photo, Pacita stands in front of the San Pedro harbor after finishing a work shift at Star-Kist Tuna's historic cannery in Terminal Island. I imagine my grandmother accosts me at night, in her playful, joking way: Come sleep with me! I have missed you. She is a small, gray-haired woman, her eyes colored like clouds pregnant with rain. Her hair is muted but combed with aplomb, her make-up impeccable, her eyebrows tatted with precision, and like always, she glows in the night—she is the moon, the sun. Her skin is dried up, an exposed apple, her hands affixed to a piano where she plays Monti’s “Csárdás” by memory, the first accompaniment she learned in the province years ago. I am every age I ever was with her. She tells me she loves me, and I believe her. She holds my hand. She moves toward my hair and says: It’s short again, you’ve always liked it short. Now she lies on the bed; she can’t move; she sits still and looks out the window. No pots or pans are thrown, no more yelling, no hand raised against my cheek to warn me: Please, anak, act like a lady. She does not look at me when she confesses: You left me. No, she does look at me, her eyes not a fire but a sea, and there we stand, at her bedside in the tiny apartment organized impeccably, just like her. She does not frown. The apartment is dark, the blinds are shut, the television is blasting channel 40, her favorite Christian network. She copies the old white ladies’ hairstyles and clothes. She relents, tells me she is happy I am back in Los Angeles, and then turns to my husband: You took her away from me! She laughs and does not stop until he laughs too. She says to him: When will you give me children? He wants to answer: Soon. She says: Do you even know how to make a child? He laughs again: Yes, of course I do. She continues: Do you want me to show you? We are laughing nonstop until she pats down my dress, brushes my black hair, cups my face and tells me: Dalaga, what a lady you’ve become. My husband disappears. He is here and he is gone again. Is he at sea? She asks me. I answer: It’s the Navy, it takes him away, just like the army took grandpa away. She shakes her head and there the disdain, the frown, the sadness grows: No, anak, not good. This is not good. I am nine again. She dresses me in long pajamas that cover my arms, legs, neck, and she carries my small body across the yellow kitchen into the living room, dancing to the karaoke machine. She begs me to dance too. Then I am eleven. She buys me a black gown for the funeral of my grandfather, and we fly halfway across the world to Manila, to walk miles on hills she once grew up on, to bury the lover who abandoned her—no, let me rewrite that—the lover she chose to abandon for America. I am swallowed in black from head to toe. You look so beautiful, she says. She always elongated the full. You look so beau-ti-fullllll. She is 80 and then 90, she is 20 again, and she is dashing with long, black hair that reaches her hips and she commands the air with just a tone, a voice, her white zoot suit, her red, disarming smile. 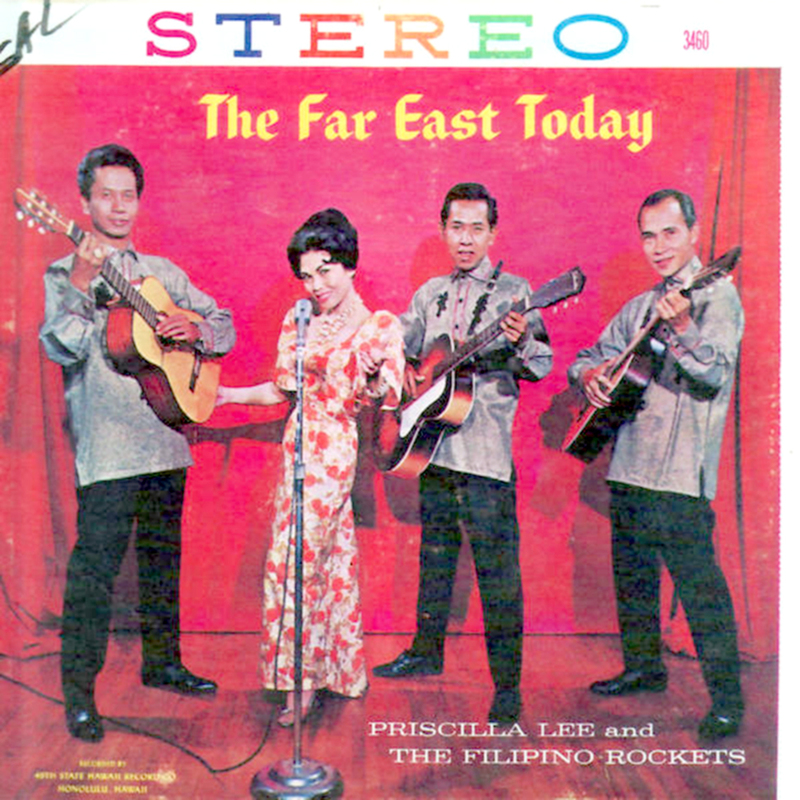 She has just arrived in California: She’s a rock star singing for the band Priscilla Lee and the Filipino Rockets. She leaves L.A. to return to Manila and there she gives birth to too many children. She’s 60 now, she’s back in the States traveling down Pacific Coast Highway with her sister who married into the military too. 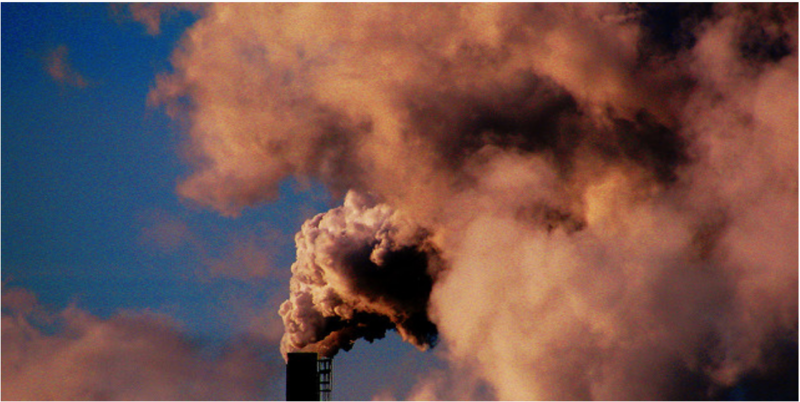 She’s a cannery worker for StarKist Tuna and her back is hunched for hours till the morning fog of San Pedro crowds her lungs. She turns to me and accosts me again, grabs my arms and asks: Where are you going? Are you a ghost? I answer: I am leaving for college, Mama, I am leaving because I eloped with a sailor in the Navy—just like you, like your sisters. Wasn’t the military our salvation?—I am moving across the country for a man, I am leaving because we have always been poor but you taught me how to survive, even if it is with my body. She kisses me in affirmation, tells me she has been waiting for so very long. She is no longer wrapped in her orange butterfly dress. She sings songs with a melody played in the darkness—the piano banging, the tune a stomping ground. It freezes, it becomes silent and roars again, and finally, it stops and she whispers: Anak, finally, the world has stopped spinning. She prays to her God, she does the sign of the cross, prays Hail Mary, and shuns it all—says she speaks in tongues instead. She stops moving and glides toward the window, opens the blinds to the view of the apartment’s dirty pool and barbeque grills and says: Heaven will become earth again soon. She tells me this and points to the sun, the sea, and we walk along a beach with nowhere to return to. I am missing her, like the rain or the ocean that curls back into itself. I am, I want to be, the rain, I want to be the ocean, just so I could say back to her: I am home now. I want to yell: I have never left you. But she laughs and looks at me with such doubt. Where did I go, I say in return. She does not touch or weep: You left me. She clasps her hands on her chest. She does not beat it. She does not cry out for God. She lays her head on my shoulder. We do not say a word. 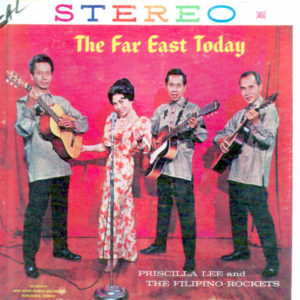 Priscilla Lee & The Filipino Rockets was the first Filipino rock band to be recorded in the 1950s by 49th State Hawaii Record Company. “Priscilla Lee” was actually Pacita Dulay’s sister (the author’s grand aunt); Priscilla immigrated to the U.S. when she was 21-years-old and joined The Filipino Rockets shortly after arriving in Los Angeles. Now I am 20 again, moving to a university near downtown L.A., the first one in my familia to do so. She waves on the doorstep despite the fact I am still packing. I walk back and forth from the blue house on Neptune Avenue to the car. She stands on the porch, watching me. She keeps waving. Her hand becomes a blur, her arm unstoppable like a piano metronome. I keep walking back and forth, carrying box after box. She never stops waving. She once said: I am always saying good-bye to you. I knew you would leave. I don’t want to leave. I leave. I return. I rarely return. But at night, when I walk home alone on darkened streets, I feel a soul behind me. I turn and there is only more darkness. I keep walking. I hear her voice: I am near you. I return home, in cities I am only passing through. I am near you, she says. I keep walking. I pass by a lonely lamppost. I enter my apartment. I open the door, open it to emptiness. I place my bags down and sit on the bed. I say: Hello, I am home now. And I can hear her voice reply back: Sleep now, anak. Sleep beside me, sleep with your old lola, I am here now. Unlike your birth mother, I won’t leave you. I enter the darkness, enter the realm of sleep, enter and am no longer alone. In my dreams, I walk to her grave, on the green hills facing single-family homes, these cliffs by the sea. I play a song by The Kinks, I cry, I hold my face, I answer the sky, I become the grass, I fall deep beneath the dirt, and lie besides my grandmother’s bones. It is here, in the coolness of the earth, that she holds me back. It is here, in this moment where I am alone and not, where I am left with only what is left of her—the smell of burnt earth, her white barong dress, her pearls, her golden rings—that I find myself again. I repeat to myself: I am no longer alone. She answers back: Oo, yes, child. Her eyes hollow but no longer searching, no longer reaching for home. Melissa R. Sipin was nicknamed "small but terrible" by her lola. Melissa was born and raised in Carson, CA. She won Glimmer Train Fiction Open and the Washington Square Review's Flash Fiction Prize, and co-edited Kuwento: Lost Things (Carayan Press 2014). 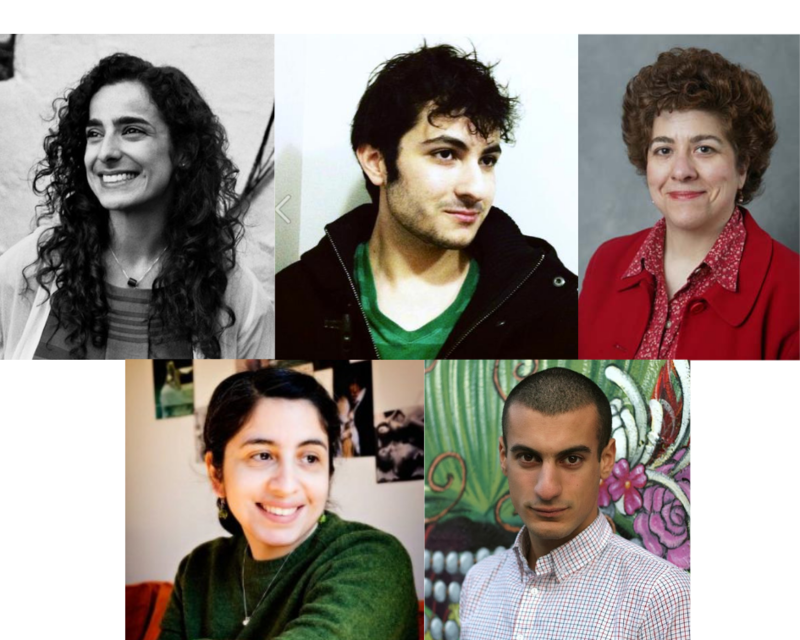 Her work is in Guernica magazine, VIDA: Women in Literary Arts, Eleven Eleven Magazine, and PEN American Center, among others. 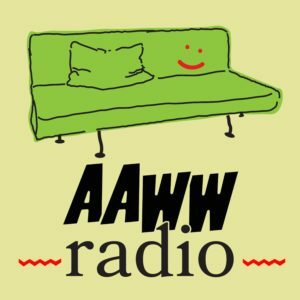 She cofounded and is editor-in-chief of TAYO Literary Magazine, and her fiction has won scholarships and fellowships from The MacDowell Colony, Poets & Writers Inc., Vermont Studio Center, Kundiman, VONA/Voices Conference, and Sewanee Writers’ Conference. She is hard at work on a short story collection and novel. More at: www.msipin.com.